This annual nationwide event will be held at the Springfield Town Library Saturday, February 2. Meet Anna Dewdney, author of the adorable and popular Llama Llama books at 10:30--11:00 am. Pick up a goody bag and enjoy refreshments (while supplies last). Everyone is invited!! The Winter Calendar of Events for Children is now available! 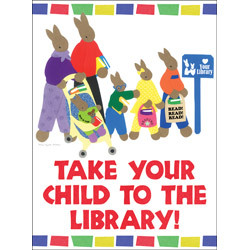 Click on the pretty picture at the right or pick one up during your next visit to the library. Calendars will also be distributed through the schools. The American Library Association has named Bedtime Math for Kids one of 2012's "Great Websites for Kids." Keep your skills sharp by signing up to receive a daily math problem by email. It's free and Fun!